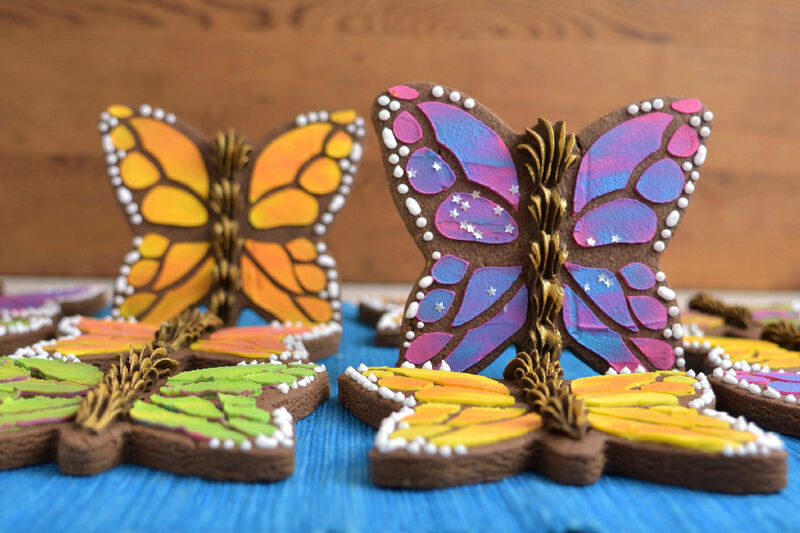 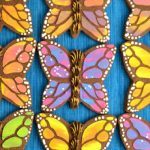 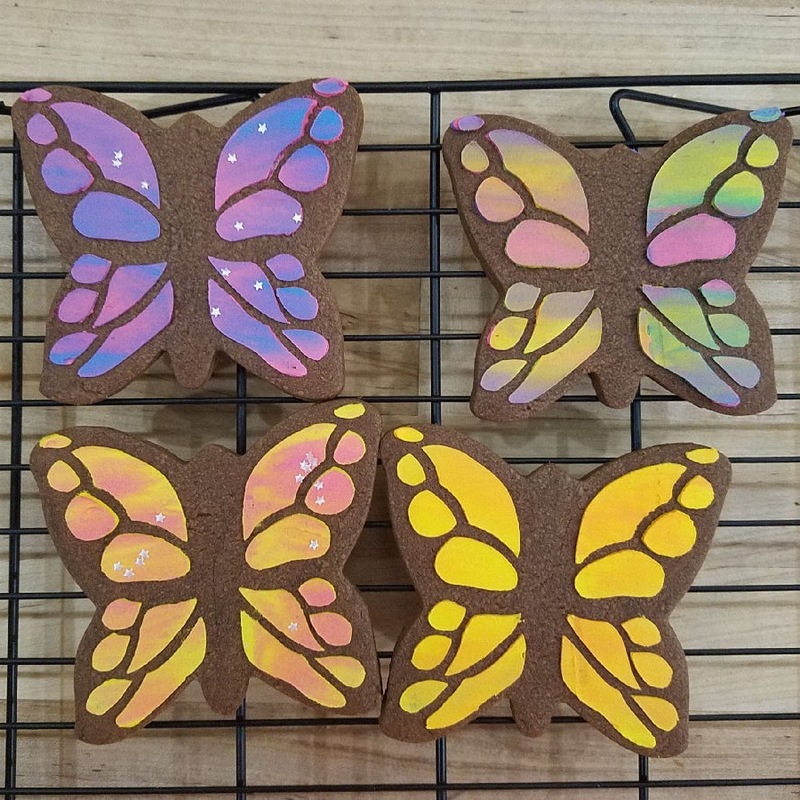 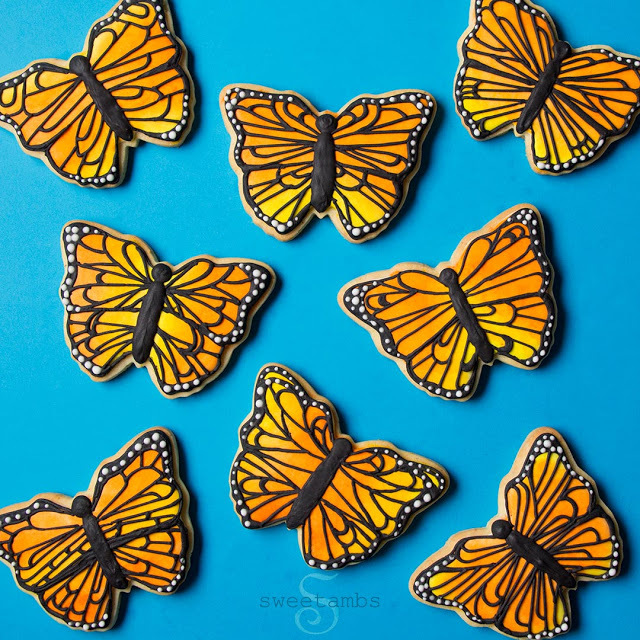 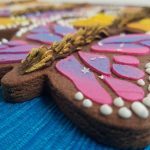 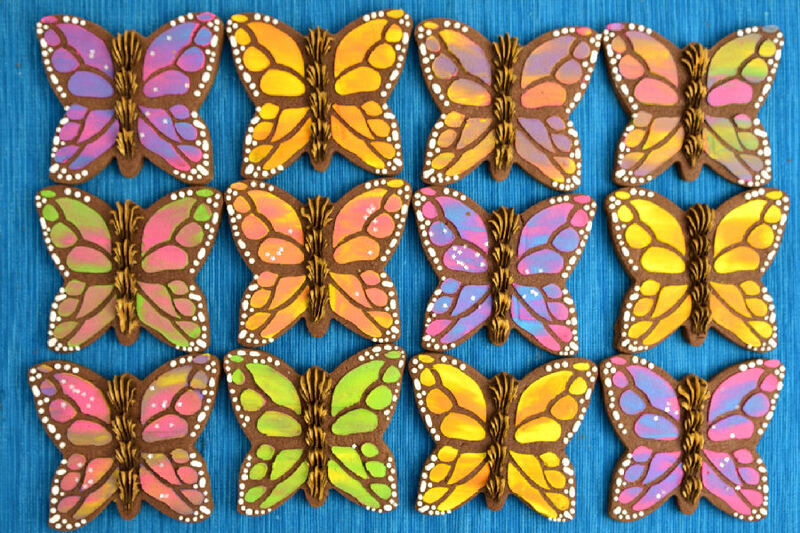 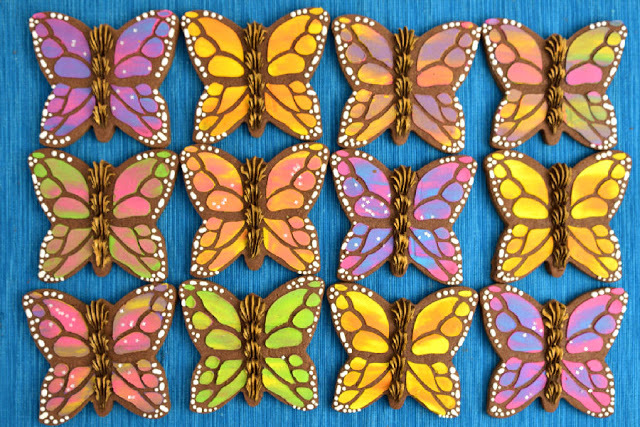 I also teamed with Amber from SweetAmbs and Amber made these showstopper Monarch Cookies. 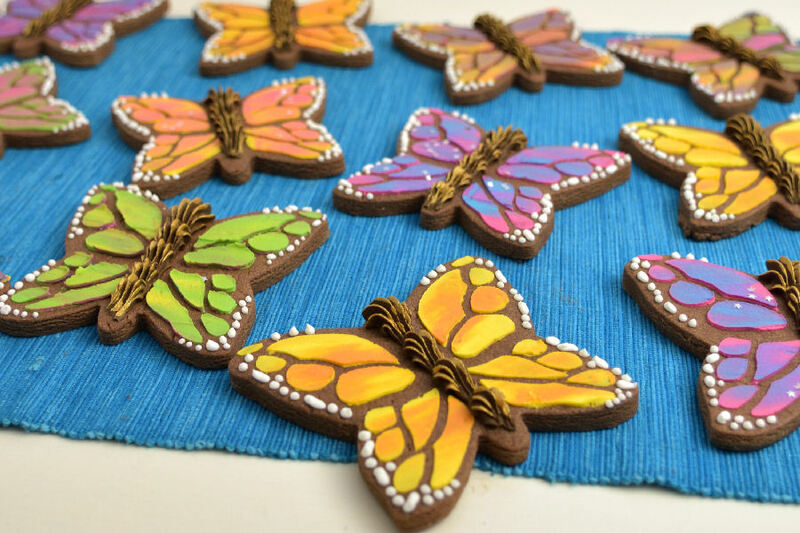 You can find out how to make them and all the little details on SweetAmbs Blog. 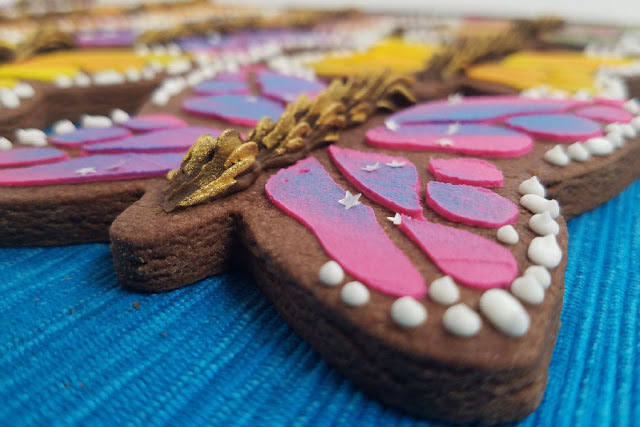 I used chocolate dough to make the cookies, if you are not fond of chocolate or are allergic you can try using gingerbread dough or even add some cinnamon to the sugar cookie dough to give little more color. Main reason I used chocolate was to avoid using black food coloring. 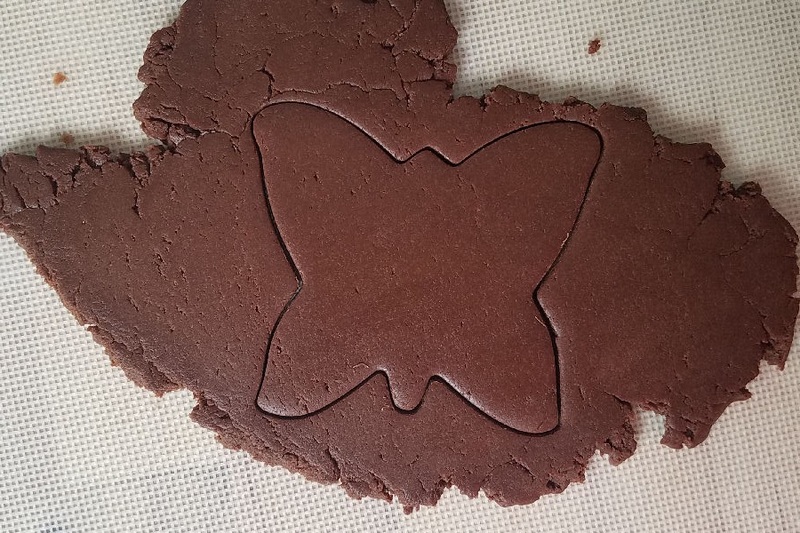 It doesn’t hurt that I love chocolate either. I tried using different colors and at the end I think using 2 colors gave the most effective results, What do you guys think? 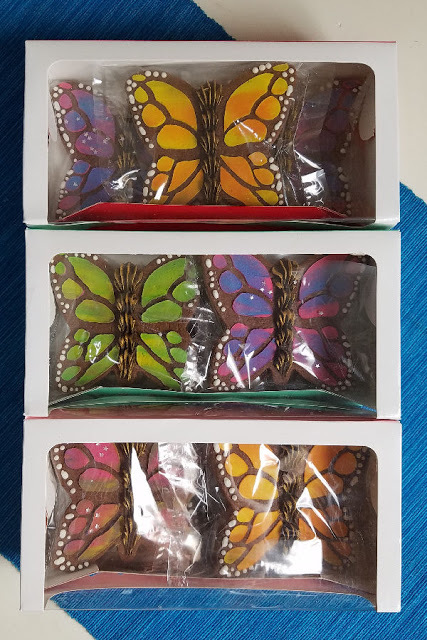 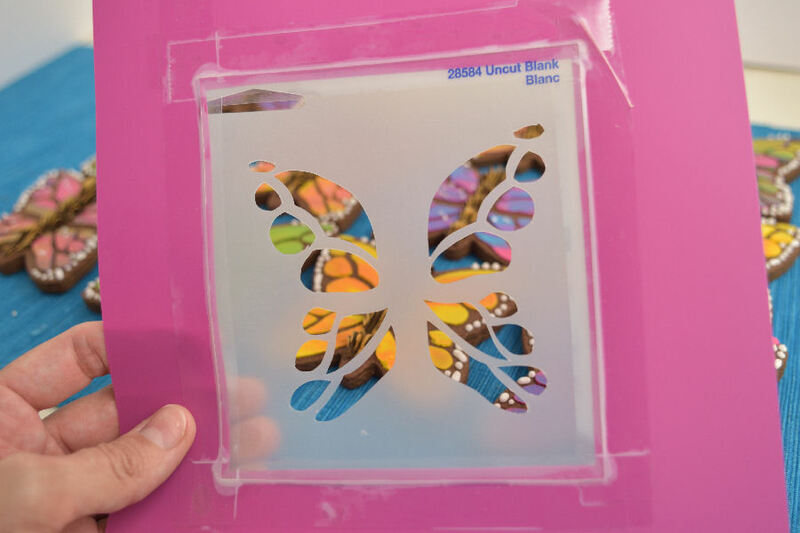 If you wish to package them, seal them in the clear bags and nest them in a cute box.